Thirteen-year-old Conor has been waiting for the monster ever since the nightmare started at the beginning of his mother’s sickness. Only this one is far too old, far too wise and far too intimidating for comfort. Once it starts its three tales of truth, there’s no going back for Conor until he’s told the monster his own story. His own true story. WOW. It might just be the illustration style, but this is such an artistic cover. The silhouette of the monster is the highlight; it draws our eye towards the path it travels, towards the house that is its inevitable destination. It sparks thrilling anticipation and sets the mood perfectly. Oh, sigh. Guys. This book. It’s pure loveliness. 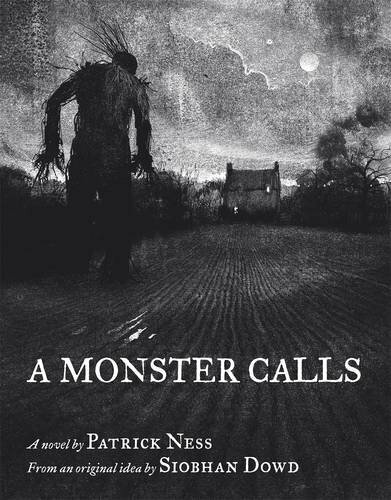 Everything from the idea itself to the writing style to the ending—I’m pretty sure my heart broke, oh, a couple dozen times during A Monster Calls. 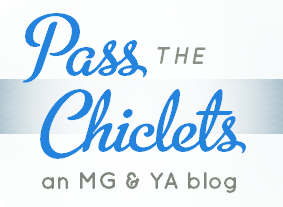 It’s difficult to believe Patrick Ness has no prior middle-grade books. With the smallest details, Ness captures a thirteen-year-old’s voice shatteringly perfectly. For example, Conor describes cereal that “tasted as unhappy as it looked”, instead of saying something like “it tasted as gross as it looked.” It’s part of that perspective middle-graders have, and it wins the reader over to Conor’s side, despite the intended audience being teens. One could argue this book has no plotline. Instead, the author devotes each short chapter to developing character: Conor’s, his father’s, the bullies’ at school. The grandmother comes off especially realistic, somehow splitting our favours to both her and Conor when it comes to a face-off between them. The estranged American father adds yet another troublesome touch in addition to Conor’s problems at school. In fact, one could say there’s too much trouble: Harry the bully’s development arc seems abruptly cut off, never giving the reader a full reason for his torment of Conor. I swear I wasn’t crying until the very last two pages. I was, in fact, awaiting an answer as to why Conor’s mother knows about the yew tree as well. But then the monster says, “Not yet… not just yet.” And then the time 12:07 comes into play. And I break down. So. Yeah. You should read this book.